Takashi Murakami (in Russia also known as Takashi) is a popular Japanese artist. His fame has gone far beyond his homeland. Not every artist, even in our days manages to receive recognition and financial well-being in life. 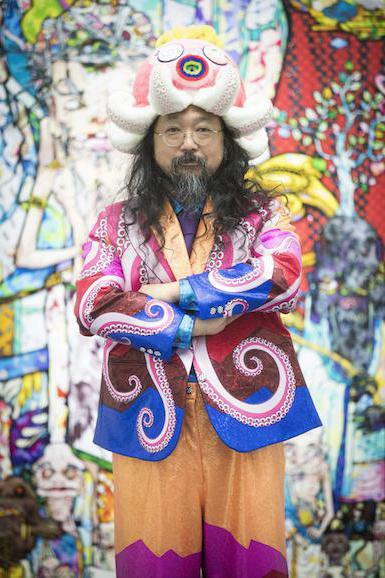 Takashi Murakami is deservedly considered one of the most eminent painters, sculptors and designers of our time. 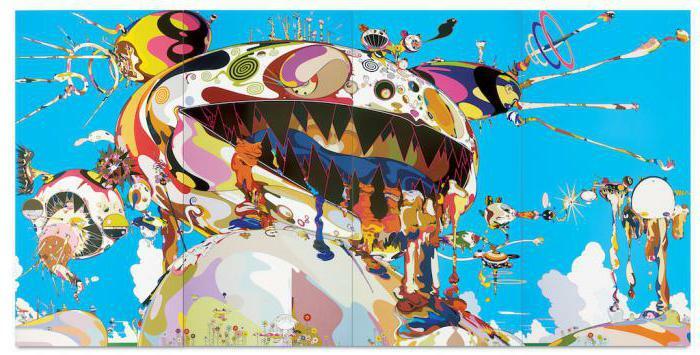 Future artist Takashi Murakami was born 01.02.1962 in the capital of Japan - Tokyo, where he began his career. From an early age he showed interest in drawing and loved to create something with their hands. In his school years, he began to seriously develop their abilities, which subsequently allowed him to continue training in the area, which he likes. after Graduating from high school, the young man went in the University of Tokyo of the arts, where she studied from 1986 to 1993, he was Already in his student years he began to build his professional career. His talent was quickly noticed. Today, Takashi is housing not only in Tokyo but also in new York, where he spent most of the time. However, home he comes regularly. Here his popularity is also quite high, although his work is mostly aimed at Western audiences. In 2000, the artist acts on the world-famous Superflat exhibition as a curator. In that year it was dedicated to the impact of mass culture on the aesthetic perception of modern people. Known for his collaboration with Louis Vuitton, for which he created designer bags and other accessories wardrobe. 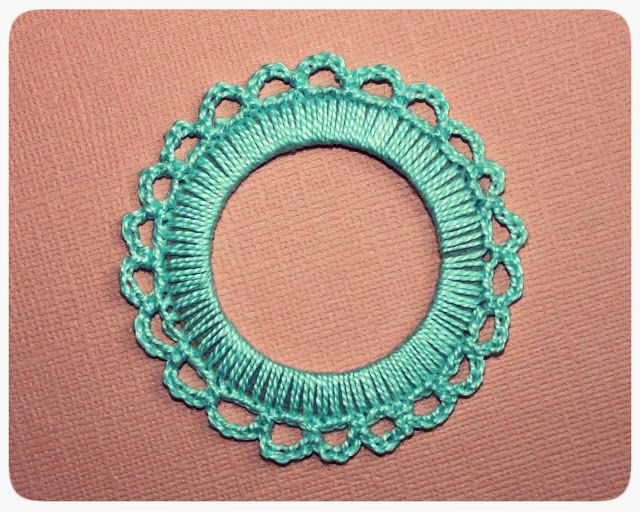 He not only got a good fee for it, but also made a name not only as an artist and sculptor but also has proven itself as a designer of accessories and clothes. 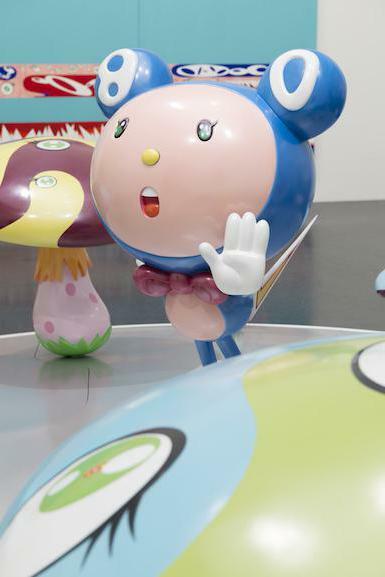 In 2008, Takashi Murakami held a large exhibition in the Murakami retrospective. It was held at the Museum of modern art, which is located in Los Angeles. Also it was shown in new York, Frankfurt (Germany) and Bilbao (Spain). Takashi Murakami at the exhibition demonstrated to the audience of nearly 100 works created throughout his career. Takashi Murakami biography and works described in this article has its own unique style. Precisely because of its originality and originality of his works and began to use it in such high demand. his art style heavily influenced by contemporary Japanese animation (anime) and comics (manga), which enjoyed unprecedented demand from the public. He himself is interested in this art form, which gives him a lot of ideas to implement. The direction chosen by them, had to taste not only the Japanese but also Westerners. And in the West, in America and Europe, his fame and popularity almost above, than at home. So the artist frequently visits countries such as USA, Germany, Spain and France. He seldom organized their exhibitions and shows, and also participated in other public events as an invited guest. In his works combines opposites: modern trends and influences of history, great and small, Eastern and Western traditions. Along with this all combined harmoniously and accessible for perception. 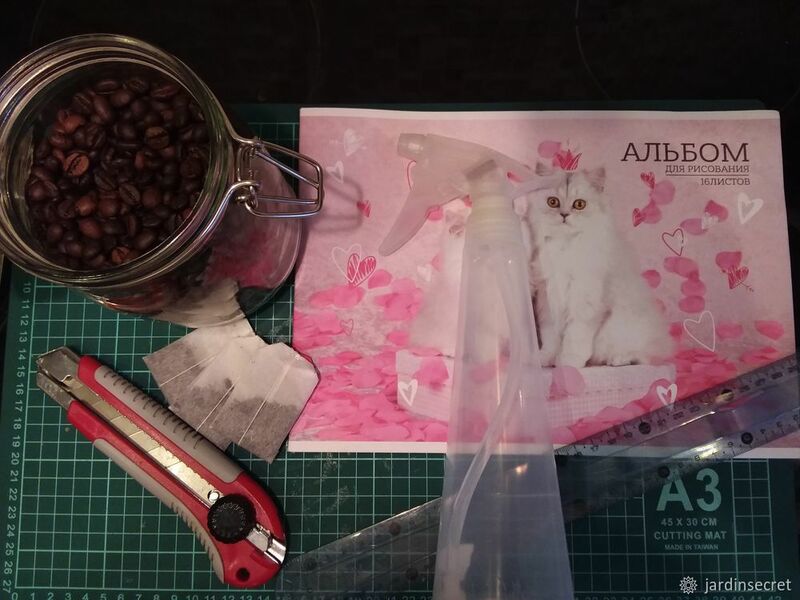 Thus, it creates a single traditional Japanese art and modern. Thanks to this unconventional approach and sense of style he managed to win the audience and become not only self-sufficient artist, but also successful from a commercial point of view. Takashi Murakami has a doctorate in the field of traditional Japanese painting nineteenth century (Nihonga), he studied in the walls of the Tokyo University of fine arts and music. Apart from the fact that the artist Murakami Takashi painting, he is engaged in a design activity, and also creates sculptures, installations and works in the field of cartoon artist / animator. 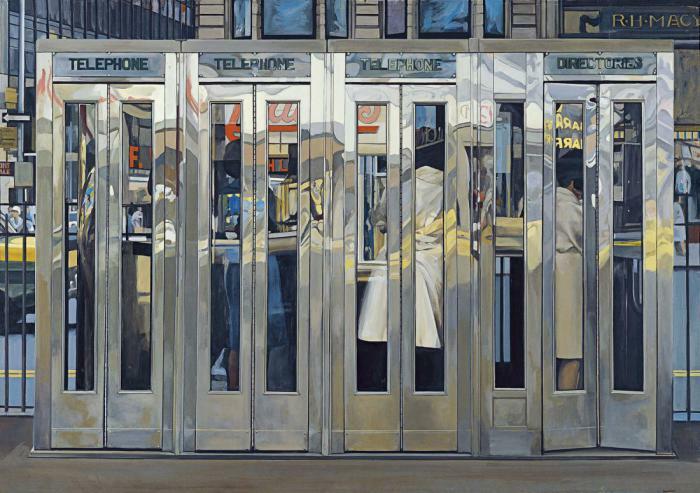 <span data-mce-mark="1">His work during his lifetime had a considerable influence on contemporary culture and art. 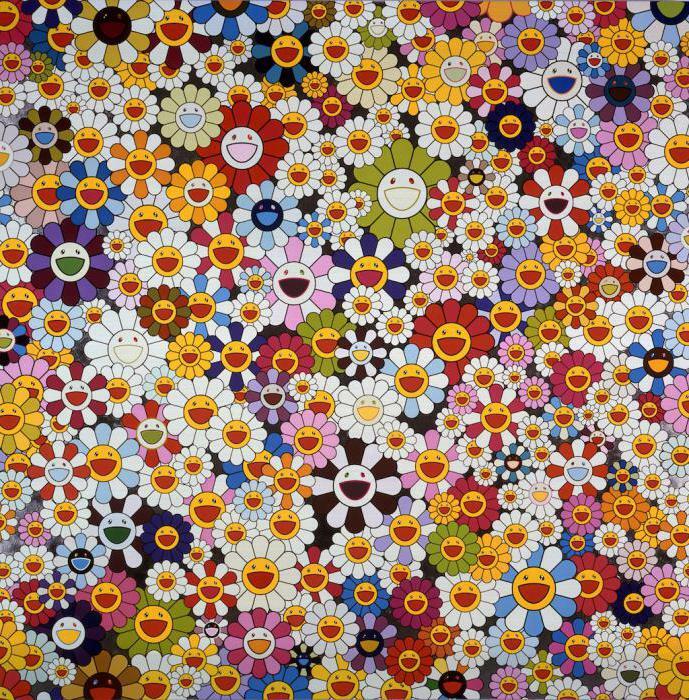 Takashi Murakami, whose paintings are in great demand among connoisseurs of modern art, is one of the most significant and influential Japanese artists of our time. Today, it not only sets the tone in the contemporary art of Japan, but also has a huge impact on the animation, because it itself is a part of it. In explanation of his works are children's toys and collectible figurines that are immensely popular in his home country and other countries in East Asia. Find yourself popular in the field of art, it really became a media personality. About it shoot stories, write articles in fashion magazines and is regularly invited to various TV shows and radio. Most of the time he spends in new York, so here he is the regular entertainment programs and shows about art. 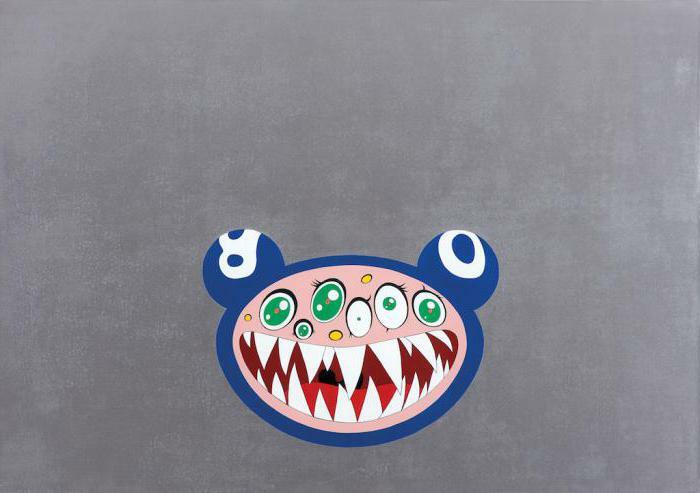 <span data-mce-mark="1">the Success of Takashi Murakami is easy to explain. He takes popular, trendy styles of anime and manga, add to it a pinch of traditional cultural elements and mixes it together. He does it so well that from his hands come the most that neither is the masterpieces of Japanese FROM the XXI century.